Every week at my school we are given a new bit of Te Reo Maori to learn for the week and then to pass on to our students. Normally, I focus on regular language teaching – you know getting the kids to practice with one another. After doing TPDL a few years ago I’m not a big believer in written language work at the early stage of learning a language. But this week I decided to try something different. 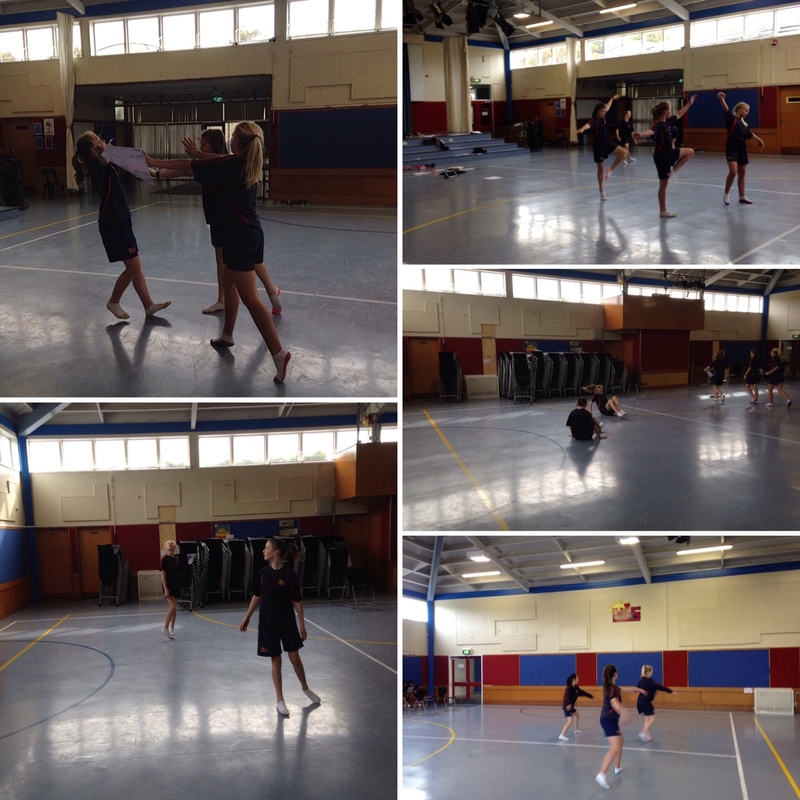 Inspired by the Dance Subject Association Conference (DSANZ – you can find out about them here) which I attended a week ago, I thought I’d try to integrate the arts – specifically dance, because that’s my jam, into our Te Reo Learning. Barbara Snook had taken us through a whole range of dance activities that looked at integrating the arts into the rest of the curriculum – one of these was based around spelling – getting students to move as they spelt words. I wondered whether it would work for learning a language. Learning is bettered anchored when more of the senses are involved – this increases the functioning of the frontal lobe. Crossing the middle line of brain/body engages both hemispheres of the brain, which develops stronger coordination of movement and assists in the organisation of thoughts due to the activation of both hemispheres at the same time. Repetitive gross motor movement assists the brain in sequencing patterns. At this point it seemed clear that there was certainly nothing to be lost in integrating language and dance. Along with another class we booked the hall and got started. After completing a few simple movement warms up based around the idea of focus and space, we got down to business. Students were each given a vocal card with a Te Reo phrase on it. Our current topic is the weather, so each sentence was fairly similar. beginning with ‘Kei te…’ (It is…) and the one or more words which describe the state of the weather. Each card had a picture indicating what the phrase meant (rather than an English translation – this assists students to think in the target language straight away instead of translating back to English which is often unnecessary and slows down language acquisition). After seeing a couple of demonstrations of different phrases from me, students were then sent off to work on the phrase. If students were stuck they were given a set couple of moves for ‘Kei te…’ and encouraged to improvise from there. The students were able to be completely free their movements – the could be static poses or travelling movements. The one requirement the students were given was that each word must have it’s own movement and students must say the words aloud with each action, thus practising pronunciation. Students were given time to develop and then practice their movement, this had a dual purpose of further integrating the language and developing the students’ muscle memory of their movements which would be vital for the next part. Students were then asked to find a partner and teach their partner their phrase and learn their partner’s. All the time they were expected to be saying their phrase aloud. They then had to work out which order to put them together (dance skill = linking phrases). They then joined another pair (in groups of four now) and repeated the process – each student now exposed to 4 different phrases. This was where we left the lesson last week. When we come back to it, we will be developing it a more dance-based way, exploring the types of pathways we can create with our bodies or in space – straight and curved and making links to the qualities of the weather and these two contrasting ideas. So did the movement assist the language acquisition? It certainly seems that way – students seem to have retained the new vocabulary and they are showing strong recall of the the language. I’m not sure whether it is significantly increased over other ways of teaching vocal in language but it was certainly more fun and a good physical challenge. 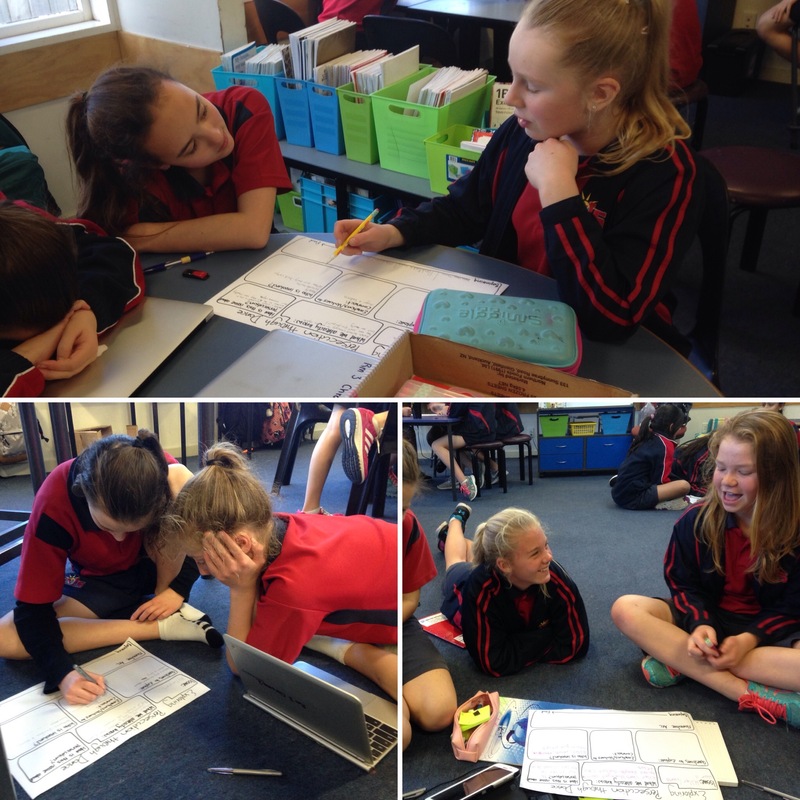 I was impressed at students’ engagement in the movement tasks and also the amount of language I heard being used – this was significantly better than tasks we done in class. So the verdict, I think it definitely to continue with this, but maybe also to actually try and gather some evidence to support the apparent efficacy of the method. It’s no secret that I love dance. And so I’m always excited when I manage to find some more opportunities for dance at my school. We have two auditioned performance troupes this year (post stage challenge), but what I’m always looking for are opportunities for anyone to get involved in dance, and for students to explore their own choreography. So this term, when we were putting together our curiosity clubs (student opt-in groups based on our overall theme for the term), I jumped at the chance to use dance as a context. Our theme this term is justice and control, and so I put it to the students that these contexts could be explored using dance. Students planning the purpose and narrative arc of their dance. One of the most powerful ways to raise awareness and to get people thinking about issues is by telling stories. I’ve always believed in the power of telling stories. And this is fundamentally what dance is about. At its core dance tells stories. And sometimes telling stories without words is the most powerful way to communicate. I love words, but sometimes they get in the way and sometimes they are just not enough to convey the depth of the moment. So I have a group of 24 students (mostly girls, but two boys – it’s a start at least) who are exploring the idea of persecution through dance. The first couple of sessions we spent talking about the idea of persecution and what it means. Students then brainstormed examples of persecution in current world events and throughout history. Following this, they organised themselves into small groups in which they would work on their dance. Each group chose an example of persecution that they wanted to explore. One group is looking at refugees, two are looking at the Holocaust, two are looking at the French Revolution, and two are looking at Malala and girls’ right to education. For some, there was a decided lack of knowledge on the issue they had chosen, so their first step was to start with what they knew, then explore what they needed to know to start creating their dance. Once they had an idea of their context, they then had to think about the purpose of their dance. What were the emotions and values they wanted to connect? What were they hoping their dance would achieve? This then enabled them to move into thinking about how they were going to do this, and look at developing the narrative arc. The narrative arc is an interesting thing to discuss in dance, because unlike in a novel or even a movie, it doesn’t need to have closure or resolution. Good dance storytelling challenges us, leaves us on the edge of our seat, puts us out of our comfort zone, or reaffirms what we believe – so it’s okay to leave part of a story untold. To leave the pregnant pause, or the moment hanging, to miss the beginning because we want to highlight the end. Dance is an art and art is about challenging boundaries. Music editing – an important and often forgotten part of dance. Once they had a rough idea of their narrative arc, it was on to thinking about music choices. We mostly use a contemporary dance vocabulary in our dance programme here as it has the greatest scope for creative story telling and is the most accessible for people with out formal dance training, but also has huge possibility for extension – plus it is the best fit with the type of stories they have chosen to tell. I talked to the students from my own point of view about choosing music, what to look for and think about. By directing them to a few typically wordless artists/composers (Drehz, Nathan Lanier, Olafur Arnaulds and Audiomachine – for those wondering), we were able to get away from the whole but this is my favourite pop song issue. Some still really wanted to use songs they knew and loved, so spent some time looking at the lyrics and whether these supported their narrative arc – in some cases yes, in some cases no, and in some cases some very interesting discussions! 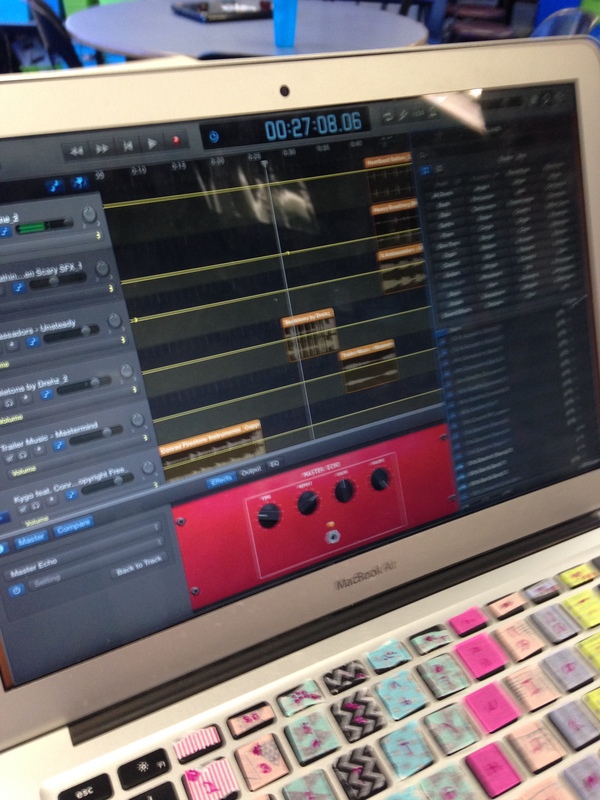 Some of the students chose to put together a few pieces of music and so learnt how to edit this with Garage Band. It’s such good learning for them, as this is exactly the process I follow when I am working as a choreographer. Exploring the different levels and body bases of movement and developing ideas. Our third session got into choreography after a brief discussion about the elements of dance. So far I’m really impressed with the choreography I’m seeing, it’s quite visceral and emotive (some groups more so than others). We’ll have a couple more sessions on choreography and then they will think about costuming and if we get to it lighting. I love seeing them start to really think about how to show their ideas physically, and coming the term after Stage Challenge, I can see the hugely positive impact Stage Challenge has had on their ability to tell a story through dance. The other thing I really love about this process is that it is exactly the same as the one I follow as a choreographer – they are actually doing exactly what industry professionals do, which is such wonderfully authentic learning. Now I just have to hope that some of them are performance ready for the end of term Performing Arts Evening! One of my big focuses for the year with my class is around developing critical thinking. In particular, this was a big focus last term as we worked on our eco-houses. It was also the focus of a recent observation by my syndicate leader. We use the ARA Pathway coaching framework for our observations at school, which is really helpful in enabling teacher reflection. As part of this, we set a follow up goal, for where to next, and part of my goal was to blog about critical thinking, as this is always a good opportunity for me to reflect and process ideas. In term one, I visited the local college, to have a look at a science lesson and see what our students are heading to next. The thing that really struck me was the way the teacher actively talked to the students about how they could use the language of SOLO to deepen their thinking and explanation. I’d used SOLO in previous years, but hadn’t really taken my students through the language of it this year. We started using it to form success criteria in term one with a book/movie comparison, and I built on this in term two with a piece of writing we did around significant family members for Matariki and as part of an empathy building focus (something we’re definitely working on as a class). Using the SOLO symbols on the board with levelled success criteria helped my students to see the progression of ideas and the relationship between them. I start with multi-structural, because by the time we get to looking at the actual explanation through writing, student’s already have an idea of what they are looking at. Acknowledging this with my students – actually pointing out that they have already passed prestructural and unistructural stages – seems to instantly give them a positive jolt, an ‘oh yeah, I can already do that, so I’m part way there’. The thing I really like about using SOLO in this way is that it forces me to really tease apart what I am looking for in regards to critical thinking – how easy is it to just say ‘I’m developing their critical thinking’ without actually really being clear on how you are doing that. This in turn makes it clear for the students what the process of developing their critical thinking looks like, and in turn has led to much better writing/explanations of their ideas. I’m still very much developing my understanding of SOLO, but I definitely think that getting in and giving it a go has really helped me come to terms with it and I can see hugely positive benefit it is having with my students. I guess now I am wondering where to next with it as so far I’ve mostly focused on it through explaining ideas in writing (it’s been amazing for developing students’ ideas strand). I’d like to try it in different contexts. With our modules for next term, there will be good opportunity to continue it in writing as we look at persuasion and cause and effect around global issues, as well as looking at static image, film or debate to present ideas. I can see how I could use it really effectively to help support students through starting to unpack cause and effect of some of the global issues they are passionate about. I’m also interested to see how I can use it to support learning in our integrated maths topic to do with fuelling athletes. Not quite sure what that looks like yet though. I keep finding it hard to write a blog post. Hard to find time to stop and actually write a reflection. Which is not to say that reflections aren’t happening, just so often lately they don’t end up getting written. Actually, when I say lately I really mean the last year and a half. When I first started challenging my pedagogy and the way I did things in the classroom, I found that writing was really helpful, and easy to manage, but as I’ve become more settled with being unsettled, I’ve found my writing has tailed off. Which is a shame, because I know it is a really useful tool to help me process things. At the end of this term, it will be 2 full years since I started teaching in a totally integrated style, and while it hasn’t always been easy, I’ve certainly never wanted to turn back. One of the things I love most about the way I do things is that it is constantly evolving in response to the needs of my students (this is the 3rd class I’ve worked with in this way). This year I have 29 year 7 and 8 learners. As with most classes I have a real mix of students. They are a very lively and outgoing bunch (for the most part) and have such a huge amount of energy. They love sport (first time I’ve every had a class that loved sport so much), enjoy art and LOVE singing. Most of them will give anything a go at least once and as they will tell you – they are highly motivated by food. Seriously, we even had to include it as part of our class values at the beginning of the year – we value food. They crack me up regularly and they are COMPLETElY different to the class I had last year. 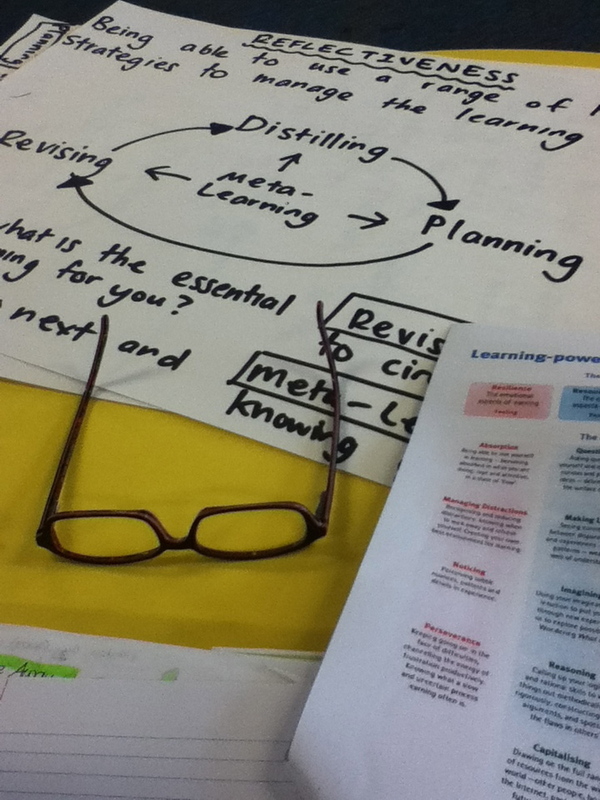 As with the previous two classes I’ve had, we base our integrated learning around two modules. These modules are a combination of two main subject areas (others might be involved but are not the primary learning focus) based around a context. One is also maths and something else based, and one is always English and something else based. Most of our learning is worked into these modules. 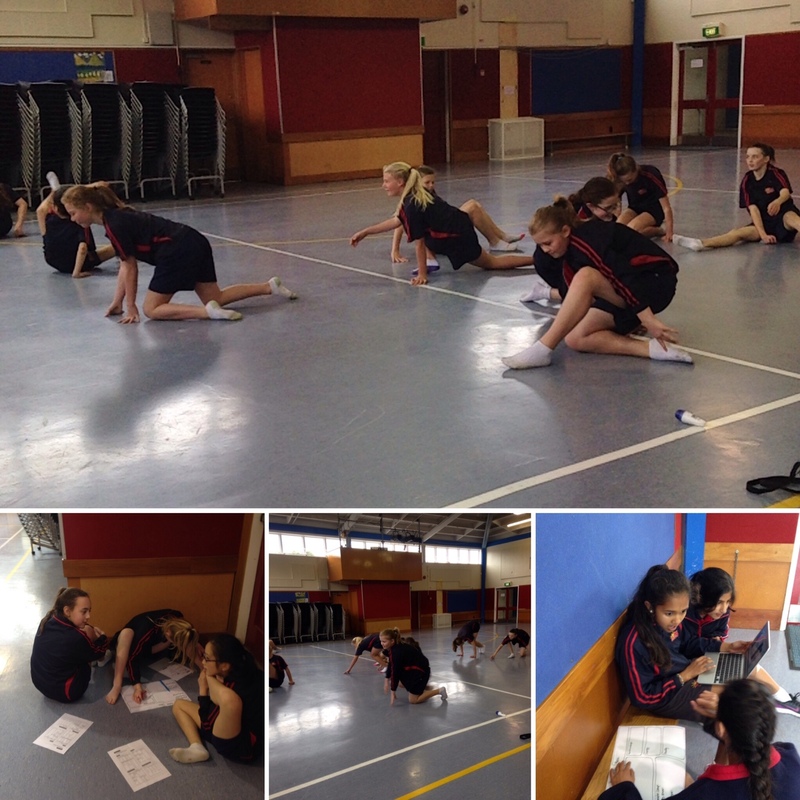 Extra things such as languages, te Reo and various other projects that are happening around the school i.e. this term wearable art and science curiosity clubs, syndicate arts opt-ins make up the rest of our timetable. The modules are inspired by the way they do things at Hobsonville Point Secondary School, but I’ve adapted it for my context. You can read more about how I started this here. And how it develop here. So anyway two modules this term – Small Module: Stars and Seasons: Exploring poetry and the night sky. This module focuses on English and Science (you’ll see there is quite a strong science focus this term – quite deliberately). We are looking at what happens in the changing seasons, and how this affected by the movement of the planet. Students are exploring poetic language and metaphorical devices to express their understanding of each season. We are also including some work around Matariki as part of this. As with all good intentions, this hasn’t quite gone according to plan. With so many disruptions in the first half of term due to Stage Challenge and all manner of other cool stuff we haven’t managed to complete this as early as I wanted to, but it’s wrapping up and will hopefully be finished by the end of next week. I’ve also found it challenging to balance the amount of writing the students need with the science concepts I wanted to look at. Probably a lesson for me in not over planning. Our Big Module has got the students super excited at the moment – Playing Houses: Design an Eco-House. This module focuses on English and Science/Technology. Students are designing their own eco-house following the design process, and researching and inventing their own technologies and scientific principles to include. The maths focus is geometry and measurement with a particular emphasis on shape, scale, perspective, area and volume. The science/technology focus is on researching and developing understanding of ideas in science with a focus on sustainable building practices. It’s hard to believe just how highly engaging this is for my learners. The last week has seen them drawing their houses in 3 dimensions from an isometric perspective (a particularly challenging feat when your house is not a simple cube – and most aren’t!) and then begin looking at floor plans. This week we have been looking at the different shapes used within our houses and the advantages and disadvantages of such shapes in building. The depth of thinking has blown me away. Students were identifying things about their design (and mine) that I hadn’t even thought of, such as the way a curved roof would minimise exposure to the wind and allow better dispersion of water across a green living roof. Our next step with this is to look in more depth at placement of houses, positioning and the best angles for getting maximum sun for passive solar heating, and then move on to planning and researching and then writing about a specific technology that the house uses and the creating gardens. As you can probably guess from my enthusiastic descriptions – I am particularly enjoying and excited about the big module, though I’m also really looking forward to seeing the rest of the poems come together too. I’ve set myself a goal to blog more – so expect to hear (read?) more about how these modules are progressing soon. A couple of weeks ago we launched code club at our school. It was awesome to see students and teachers learning alongside each other. Code club was born out of a discussion amongst teachers, and a desire amongst the teachers to learn basic coding skills. We set a tentative time 8am – 8.30am before school and put word out. The first day we only had 7 people turn up – 5 of whom were teachers, but I was totally stoked that 5 teachers wanted to give up valuable time before school to learn coding – so awesome! We were pretty independent in our learning today, so far we are using two different coding tutorial programmes – Scratch and Code Academy. The students seemed to prefer Scratch for its visual nature and they way it introduces new concepts, while the teachers liked Code Academy better. After a couple of weeks of low numbers with the early morning time slot, we decided to do a bit more promotion at assembly and the relaunch code club during Friday lunch times. We had over 40 students turn up for our first lunch time in the library, and subsequently had to move to the shared learning area the following week. For the first couple of weeks we’ve been getting our students to use scratch which most of them are familiar with. Our absolute beginners we started on Code Studio, and some of the students who wanted to focus on web design have been using Code Academy. Next week we’re going to up the challenge by introducing Code Combat. I like the idea of Code Combat as it requires the students to write the code rather than drop and drag the blocks and introduces the ideas and the logic behind coding. Unfortunately Friday lunch times haven’t turned out to be a good time for teachers as many are coaching sport at the same time, so we’re still working on a way to support teacher’s interests in coding. Very open to suggestions though! I’m also looking for some more ways to get more girls involved. There’s no doubt it, life is busy this year, but I don’t mean the self important, stressful kind. There’s just lots happening this year. As always, I’ve been doing a lot of reflecting, and I am just loving the dynamics of my syndicate this year, so we’ve been doing a lot of reflecting together, but it is time to get some of the thoughts that have been going around in my head down on the blog. As with last year, I wanted to continue to teach in cross-curricular modules as this gives such great parent and student buy-in, not to mention straight the fact that it straight away takes away the ‘but what’s the point of this’ comment. So I started with a two module structure – A and B. As term one progessed though Module A started to take over, and we kind of let it, and that was okay. In term 2 I thought let’s start again with two modules and we’re doing a syndicate project, so let’s call that Module C. Can you say stupid move? I can. And we did. Together as a class we realised (about 5 weeks in) that we were overloading ourselves and trying to do much. So we settled for doing less better and simplified things. In thinking about and planning term 3, I’ve decided to get even simpler. Making sure that modules only have two curriculum areas, making the outcomes much more achievable and also shortening the time frame – 5 week modules instead. We’re planning a big project as a team this term so I’m trying to make sure that all the outcomes of the modules can tie into this, instead of creating more work for myself and the students. Do less better is the goal! I think getting this sorted will help us with managing the team teaching more effectively. Our focus in this unit was Sustainability and we started off with the big question ‘How do the products that we use affect the bees?’ We choose to focus on the bees as our syndicate is home to the school’s apiscope (indoor bee colony) and we have outdoor hives as well. We began by looking at the fact that the bees are dying to hook in students’ emotions and then we focused on building basic bee knowledge as a start point. From there we began to look at how the products we use affect the environment. Students then chose one product to investigate further and wrote a report on this. Finally, they created their own bee-friendly or sustainable product that used bee-products, which they then had to packaging and market at a sustainability expo for their parents and peers. The feedback from the students was that they really enjoyed the project and loved getting practical and making the product. As a final assessment of the project students wrote a detailed reflection of the process. While they now have a good understanding of the concept of sustainability, I think some of them are still struggling with being able to explain this in relation to their products. Upon reflection I think we needed to spend more time looking at the connection between bees and sustainability so that the students understood this in greater depth. One of the things I think the students did really well was to give each other feedback about their products. The students were also able to think critically about how they might improve their product, though some of them found it difficult to take feedback from others and turn it into practical solutions. Allow Time – we were so pressed for time with this project that it made it difficult for the students to really put in the finessing time we wanted. Plus we totally ran out of time for them to revise their products! Focus on crafting – this links into the first two and is going to be our focus for term 3 – creating something to a high standard. This year has seen the launch of BYOD across our school after a successful trial in term 4 last year. So far it’s been a huge success. We currently have 139 of our 311 students with registered devices and most students bring them regularly. This equates to 45% uptake, which is much higher than we expected. Based on trial estimates, we expected about 30% uptake. To be honest, I didn’t expect the roll out to be as easy or as smooth as it has been. On the whole we’ve experienced very few teething problems, and I can only put this down to the planning that we put in before we started BYOD. In 2014 we had major investments in our infrastructure – we got N4L we were SNUPped, we had a new server, and new wireless routers throughout the school, we increased the number of IP addresses allocated to our school, and we became a google school. All of these things have made it easier to get students online and using their devices to support their learning. However, while these have supported our implementation, they aren’t the things that have made the real difference. In 2014 we started our digital citizenship programme. This began as a way to address core aspects of digital safety and citizenship – including safely shutting down devices, making logical choices about which devices to use for each purpose, creative commons and basic computer skills. At the end of 2014 we redeveloped this to focus on skills for e-learning (which includes digital citizenship). We linked the passport with Guy Claxton’s Building Learning Power theories and language which we use extensively in our school and we built in a lot of reflective and creative components. This gives us a planned programme to work through to increase our students’ capacity to use technology effectively in their learning. Students work through 4 levels, gaining badges for their passport along the way. Once they complete all of the badges for their level, they are recognised at assembly as they level up. The kids seen really keen to be recognised and complete the passport and they love the badges. Devices can be used in the morning before school for social purposes – i.e. sharing the weekends photos etc. Devices are locked in a cupboard in each classroom when we are not in class – break times, visiting the library etc. While we have a really tight framework for how devices can be used at school, there is considerable freedom within that framework for teachers to set expectations about in class use. For example, my approach is that students should assume they can use their device unless I say otherwise. This has been great for getting the students to think critically about their resources and start making choices around what is the best way to complete a particular activity. Every morning we spend 10 minutes writing – some students do this on the device quite happily, but some students with devices still prefer writing by hand. It’s awesome to see them starting to make these choice and think critically about the role of their device in supporting their learning. All our students sign a BYOD Agreement along with their parents and they must register which device(s) they are bringing to school – this not only mitigates any liability for devices on our part (as per Ministry guidelines) it also holds the students accountable and gives us a shared understanding to fall back if students break the terms of the agreement or use their devices inappropriately. We do have restorative consequences in place for serious misuse but we haven’t actually had to use them yet, fingers crossed we don’t have to! It’ll be interesting to see how BYOD develops over the next year (and the coming years after that), but for now we’re really happy with how things are going.